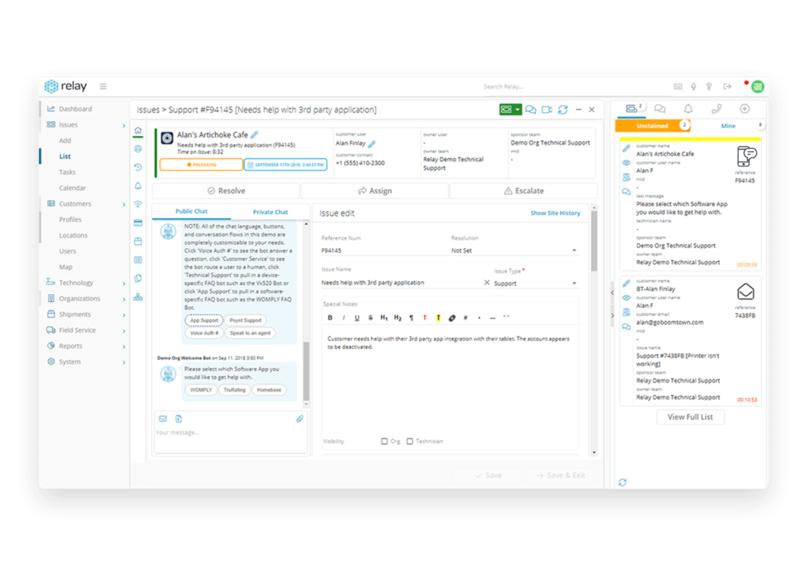 Seamlessly collaborate with internal teams, partners, and vendors to solve problems faster. Agents often need input or actions from other teams – internally or in separate organizations – to resolve a ticket. However, without shared visibility of a single ticket, all context is lost and time is wasted in back-and-forth communication. Resolutions become delayed and service quality suffers. 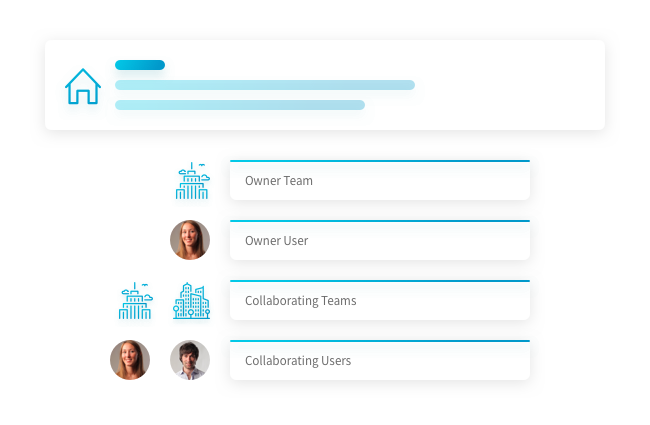 Relay brings teams together for a better collaborative support experience. Each ticket has conversations built in so you always have the complete context of the customer and initial question. Each conversation has a public and private conversation so you can work behind-the-scenes when needed. A simple @mention notifies the right person to join the conversation. Share a ticket with a specific person or entire Team with a single click. A single ticket ensures context for everyone involved to increase speed and quality of resolution. Create sub-tickets and assign them away to work in parallel on a single ticket. When you need to work with partners and vendors, you get a visual support graph of everyone involved. Across your team, there’s a range of topics people need to communicate about. Team Rooms give everyone a way to organize all their conversations while making sure the right people are involved – whether they work for your organization or not. A team room can be created for a team, project, topic or anything else. Stop replying ALL and use @mentions and team-based chats from one place. 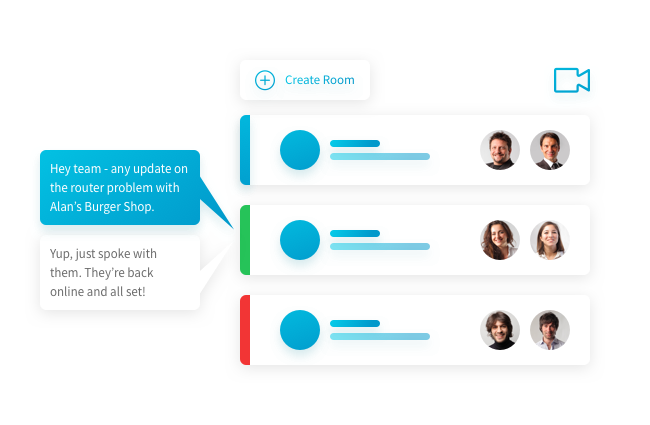 Create Team Rooms on the fly for quick conversations or long-term engagements. Start a multi-party video chat with a single click right from the conversation window. 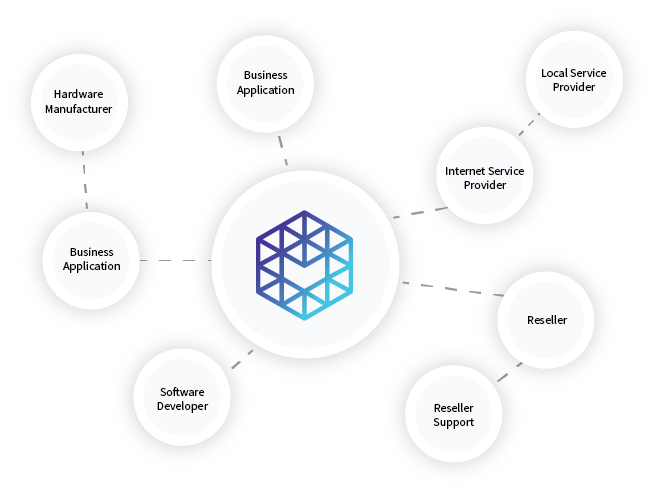 Join over 600 teams that already use Relay to collaborate on support.